On April 13, 2019, your favorite Frisco-based NPTA youth theater stars will dress their best and walk the red carpet to be honored at the 4th annual North Texas Performing Arts-Frisco AMP Awards. Sounds like a big deal, right? Well, it is, and not just for fans, but for the student stars who will take home awards and the families who supported them. These local kids spent months this year working hard to develop themselves both on the stage and off, demonstrating positive character traits such as teamwork, discipline, and support for their peers. As the AMP awards draw closer and closer we get more and more excited! The outpouring of support from our community and our parents has been outstanding this year. We have a committee of 13 people who have committed to give their time and energy to planning and running our amazing AMP Awards this year. Not to mention our board members and volunteer parents and all of the time and effort they have put in. Our youth deserve an amazing night for their hard work. These kids devote time on evenings and weekends to produce the best youth theatre has to offer and we are so happy to celebrate them. There’s one thing we’re not sure about… Will there be slime dumped on anyone’s head as they do at the Kids Choice Awards? Fingers crossed! One thing we’re certain of, there will be laughter and entertainment, as well as the delight of watching kids’ faces beam as they’re recognized for their hard work and dedication. Guests will enjoy special live performances throughout the show featuring musical acts from the past year and shows about to hit the stage in 2019. Each year we come together as a family to celebrate all of the Memorable Performances from the prior year. We celebrate each and every child that participated in one of our many productions. The AMPS allow us to recognize the hard work of each child both on and off stage. This year over 400 NTPA-Frisco students will be recognized in over 200 different categories. I’m so proud of our students and the exceptional work they produced on the North Texas Performing Arts Frisco stage in 2018. The AMPs provides directors the opportunity to celebrate and award their actors for their hard work and to revitalize songs from the 2018 shows. My favorite thing about the AMPs is seeing all of the camaraderie between the students as the awards are being announced. It’s a night full of celebration! A schedule of the evening’s festivities is available on the NTPA website, as well as a thorough description of the awards divisions, how they award finalists are determined, and ticket prices. Look at any Frisco calendar of events and you’ll consistently see a North Texas Performing Arts Frisco production coming up (or Frisco Youth Theatre, as they were once known). 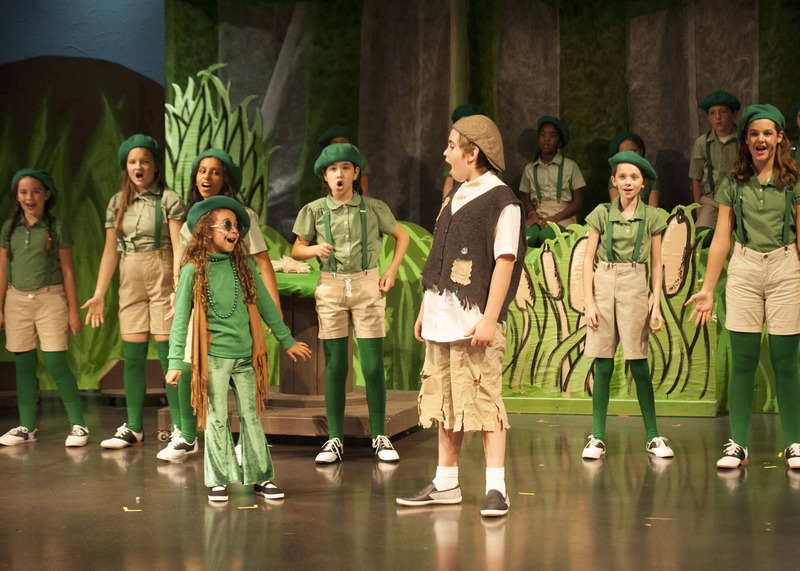 Beloved by the Frisco community for their consistent stream of program offerings for grades K-12 (including classes, camps, and the inclusive Starcatchers program) the youth theater is more than just an extracurricular activity for the kids, it’s character-building. Leadership, responsibility, respect, discipline, integrity… Not to mention, for many, an increase in self-confidence. In 2018, NTPA moved into their very own rehearsal space off Preston Road in Frisco, but the 501(c)3 continues to need performance space to call their own. One of the new developments in Frisco receiving a lot of positive attention is the Nack Theater. A project in partnership with former MLB player Torii and Katrina Hunter, it will provide a permanent residence for the North Texas Performing Arts to hold their rehearsals and performances. 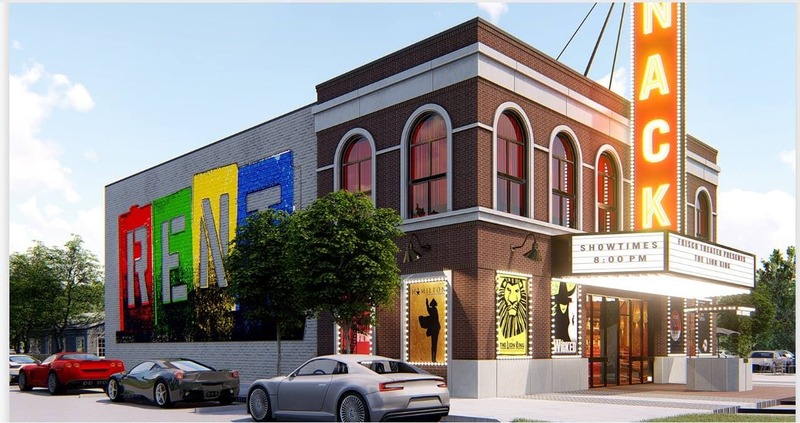 The Theater will also serve as an entertainment venue for the Rail District by providing comedy nights, recitals, and performances for the residents of Frisco to attend in an intimate, yet enjoyable environment. Contact NTPA-Frisco for information about how you can partner financially with NTPA to make this dream a reality!